Spent some time in the garage this weekend. Admittedly, I have not had the time to spend in the garage so far this summer as I would like.. Unfortunately, as happens too often, life gets in the way. But this past weekend I finally got to spend some ‘me’ time doing what I love the most, wrenching on real musclecar’s. My brother in law needed a little work on his 69 Nova.. 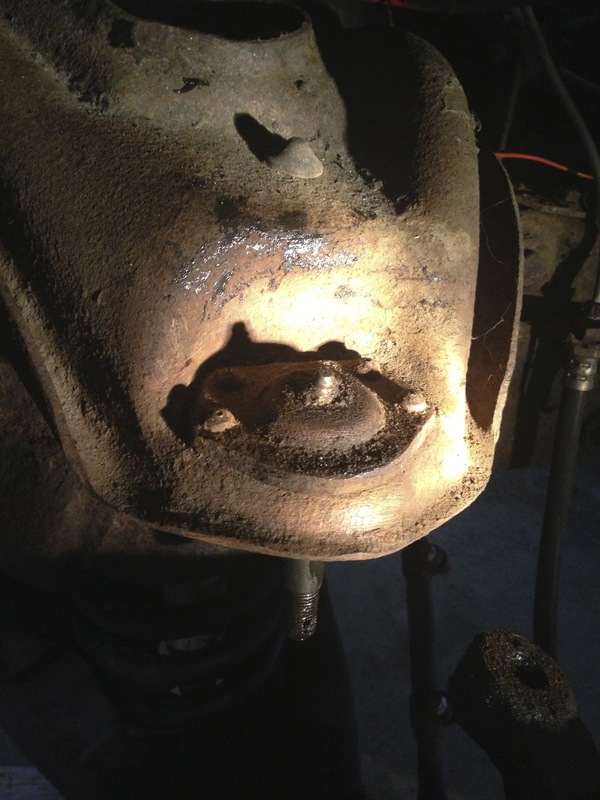 He needed a ball joint replaced and had a problem in the charging system. When it comes to GM muscle cars, I have always believed in replacing all 4 at the same time (unless of course any have been recently replaced). Turns out the one that was worn to the point of being a safety concern, was an aftermarket unit.. the other 3, which were showing only a minor amount of wear, were the factory joints! I was shocked to say the least! This entry was posted in Automotive, Chevelle, MuscleCars by Larry. Bookmark the permalink.